From deep within the tomb of the Egyptian pharaoh Tutankhamun, Professor Douglas McCadden ships the coffin of Ankh-Vanharis to the California Institute of Sciences where X-rays reveal five diamond-like crystals hidden within the coffin. Technician Peter Sharpe steals the crystals but doesn't notice that the powerful X-ray has revived a green fungus. When the coffin is opened at a university press conference, the reporters uncover more than they bargained for. 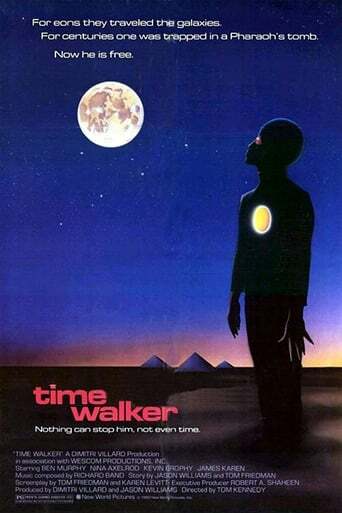 The mummy has disappeared... and the Time Walker is alive again!